Indépendance cha-cha is the lively name Le Monde has given to the history of French decolonization featured in this multimedia presentation. ► Listen to the rallying song Débout les Zouaves while reading about World War I (1914-1918), during which French forces included more than 200,000 persons from colonies in sub-Saharan Africa and Madagascar -- more than 25,000 of whom died in the conflict. 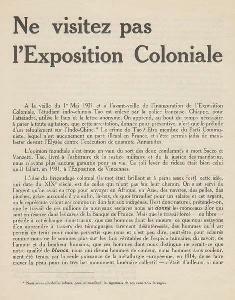 ► The Colonial Exposition -- and the Counter-Exposition mounted by André Breton and other surrealists -- both held in Paris in 1931. 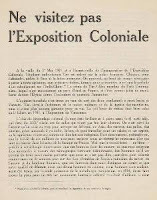 ► Publication of Peau noire, masques blancs (1952) by the Martinique-born psychiatrist and anticolonial theorist Frantz Fanon (depicted not only in a photograph but also via audio of a lecture he gave). 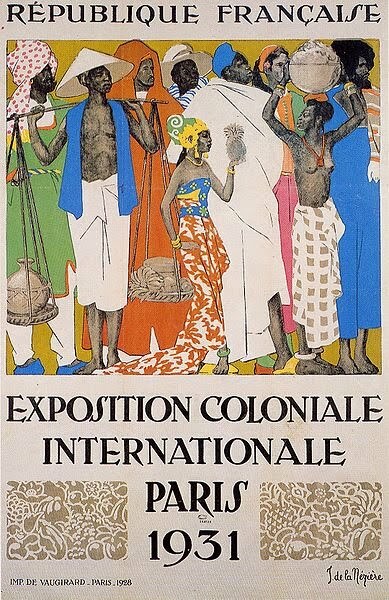 ► The securing, in rapid succession in 1960 and 1961, of independence by many former French colonies in Africa; followed by occasional French interventions ever since. ► 2007 accusations of corruption by leaders in certain African countries, about which IntLawGrrls posted. ► Video of a 2007 speech in Senegal by President Nicolas Sarkozy -- that that left "Africans ... seething." Worth your time to give cha-cha a spin. Thanks Diane. I missed this and am glad you've posted it--now I have a clear, concise explanation of "françafrique," which, despite President Sarkozy's declarations to the contrary, does not seem to be over and done with yet.